Marimba Banquets, Andheri West, Mumbai is an ideal choice of venue if you are looking for a bachelor or a cocktail party with your family and friends. 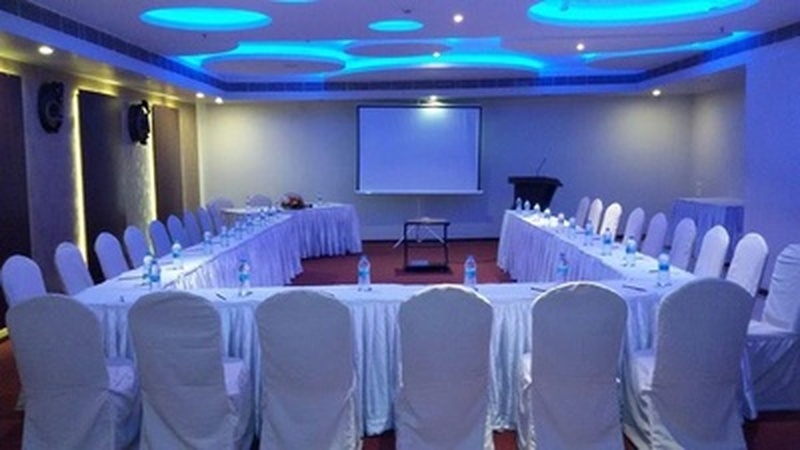 The venue is also a great choice for hosting corporate meetings and conferences. Choose Marimba Banquets which has V K Terrace Bar & Grill as its party area if you’re looking for something fun and happening event. It serves flavoursome delicacies to choose from in both vegetarian and non-vegetarian food. The venue is a wildly popular one in the city, it is known for its delicious meals and excellent ambience. It is located near the famous Fun Republic which is well-known among the locals. Marimba Banquets, Andheri West, Mumbai has a cosy environment which makes it a great place for hanging out with friends. Please Note: The venue has been closed down. C 18/21, Dalia Estate, Near Fun Republic, Off Veera Desai Road, Andheri West, Mumbai. The Marimba Banquets located in Andheri West, Mumbai has Cocktail Venues. V K Terrace Bar & Grill can accommodate upto 90 guests in seating and 150 guests in floating. Vegetarian and Non Vegetarian food is served at this venue. Features of this wedding venues are : Food provided by the venue , Non-Veg allowed at the venue , Alcohol allowed at the venue , Music allowed late , Halls are air Conditioned , Ample parking , Packages starts at Rs 900 per plate for vegetarian menu and at Rs 1100 for non veg menu.